Spacious and comfortable one bedroom flat in historical Bedford Park, Chiswick. Situated in a Victorian building with its own private entrance. Located near parks, restaurants, pubs, and shops. Very close to the tube (7 minute walk to Turnham Green) and bus links (94) to central London. The large living room/kitchen area has high vaulted ceilings with velux which provides lovely natural light. There is a large bedroom and a sofa bed in the living area. 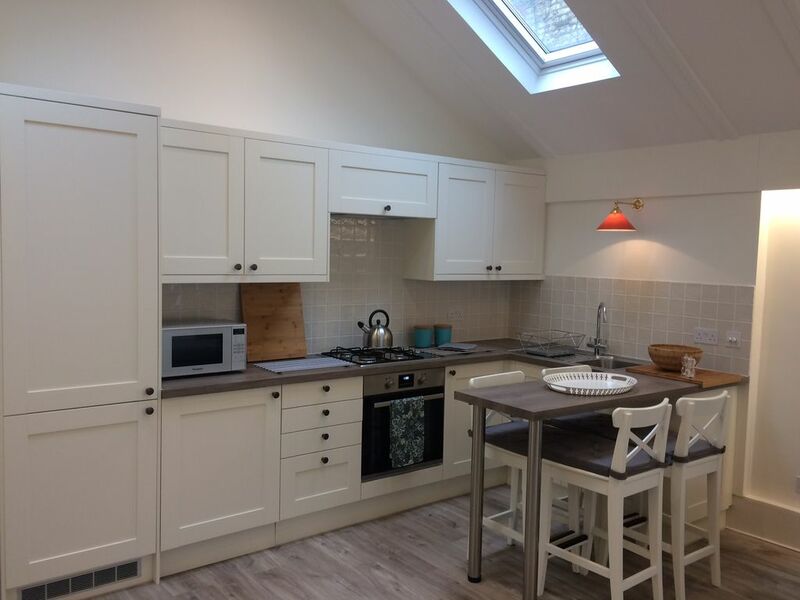 The kitchen is newly refurbished and has full cooking facilities. The bathroom has a shower (no bath). It is a comfortable place to relax after a day in town. Turnham Green station is a 15 minute tube journey to South Kensington (and the museums) or about 30 minutes to Leicester Square and the West End. Walking distance is Chiswick High Road and Turnham Green Terrace which have many excellent restaurants, including popular chains like Cote, Byron, Pizza Express and independents like High Road Brasserie and Hedone. There are plenty of pubs (and even a pub theatre at the Tabard the closest pub to the flat!) In the summer it is pleasant to walk to the River Thames and go for a drink at one of the riverside pubs. Kew Gardens is two stops on the tube.